SOG Tangle Full Tang Knife & Sheath | BUDK.com - Knives & Swords At The Lowest Prices! 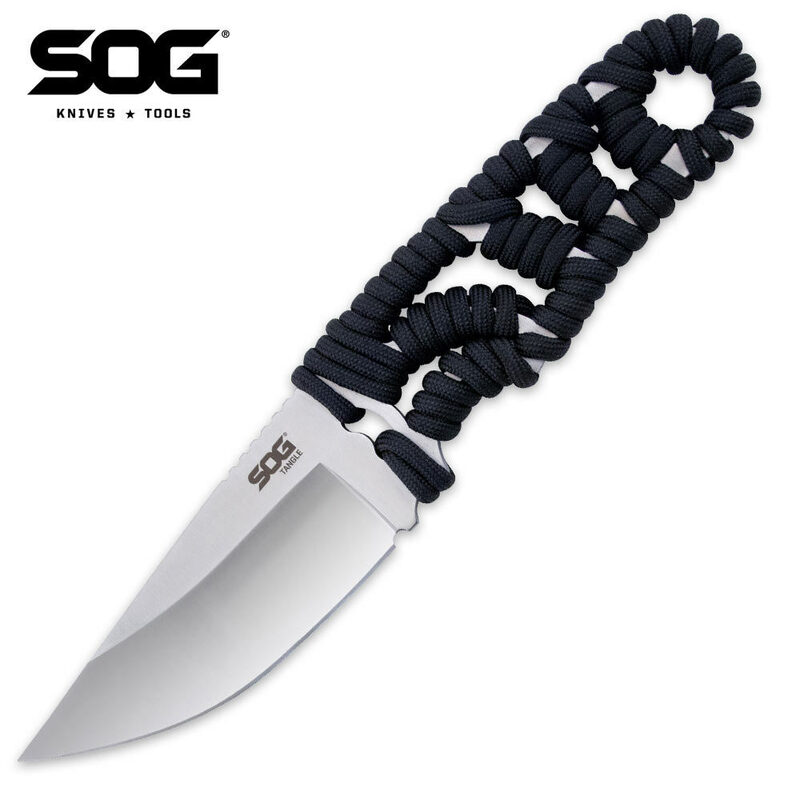 Its hollow ground drop point blade makes the Tangle perfect for most uses, sure. But you want to throw this knife, don't you? Thanks to a full one-piece tang 9Cr18MoV steel construction, you can. It's strong. It's balanced. It's lightweight. It's really only dependent upon your aim. Carry it wherever you go.